Berry fruit crops are prone to infection by a wide range of viruses, with the list expanding every year, primarily because of the expansion of the crops to new geographic regions. Although some methods allow for virus detection in a nonspecific manner, the advent of cheap and effective nucleic acid sequencing technologies has allowed for the development of species-specific tests. 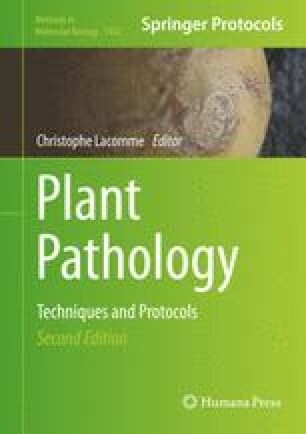 This chapter describes methods for extraction of nucleic acids for molecular testing from a range of different berry fruit crops and lists oligonucleotide primers that have been developed for amplification of a large number of berry fruit viruses.